My literature class has moved on from picture books to middle grade books. 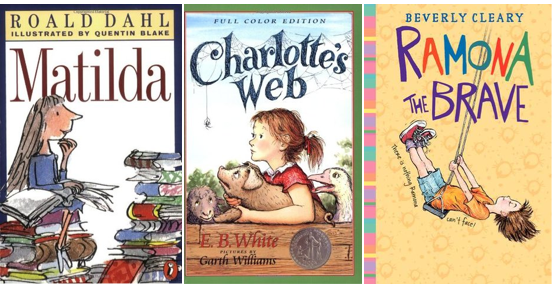 Here are three of my favorite books from elementary school and middle school.You know the drill. In the comments list which book you’d read (your favorite), rewrite (second favorite or one that you want to change in some way), and which you’d FIGURATIVELY burn (your least favorite). Since it’s only fair, I’ll play along too! Read: Ramona. I remember bonding. Rewrite: Charlotte’s Web. Perhaps change some of the rat stuff. Burn: Matilda. Dahl and I never really get along when it comes to children’s books.